Lately, there has been a number of recipes on pork ribs on this site. 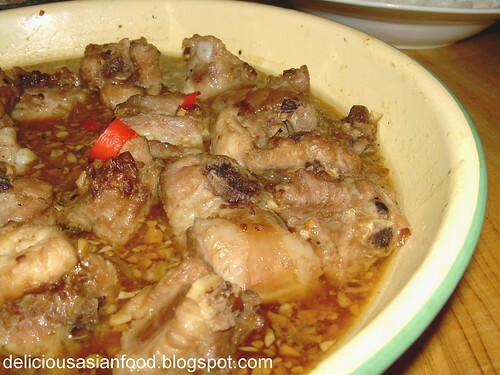 Pork ribs can be cooked in many different ways and mum cooks pork ribs by steaming it in taucheo sauce once a while. The trick to this dish is to include salted plums as this actually give the pork ribs a good “zing” to taste as well as tenderises the meat. 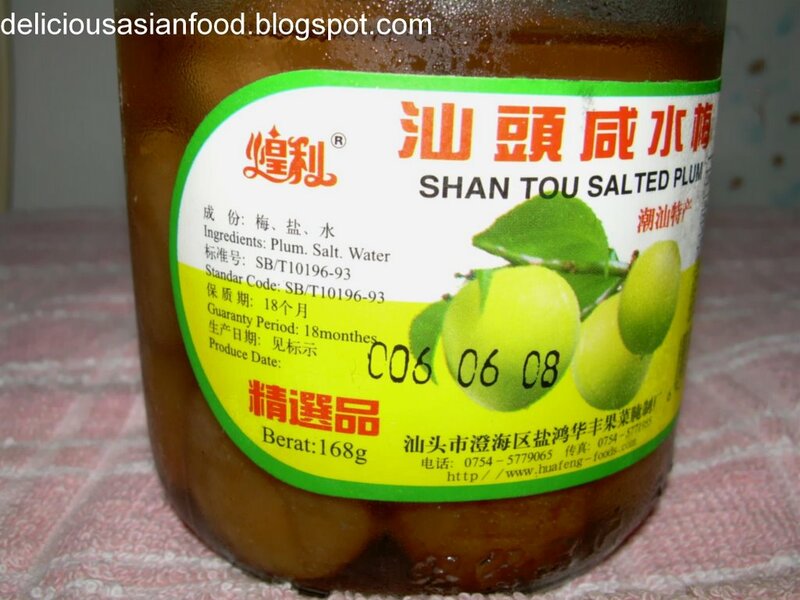 Some add this salted plums to steamed fish ala Teochew style. To prepare marinade, heat oil in pan / wok and stir fry garlic with taucheo for 1 1/2 minutes on medium heat. Add sugar. Remove and let cool. Add the salted plums to the marinade and marinate the pork ribs evenly for at least 30 minutes. Steam the pork ribs for at least 30 minutes and serve.